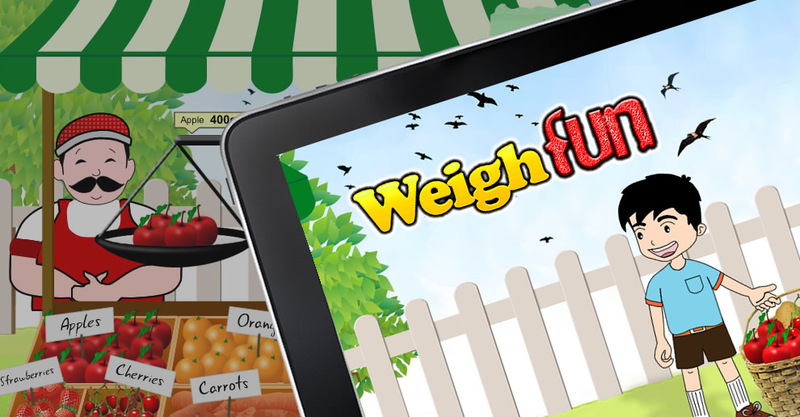 WeighFun teaches children multiplication and addition in the setting of a Farmer’s Market. The player uses an old style weighing scale to drag and drop fruits and vegetables onto the scale, then makes it balance by putting the correct number of counter weights. They can then make purchases by paying the correct amount for the fruits and vegetables, whcih the children have to calculate themselves. We used Cocos2D as the game engine. The physics of the weighing scale had to be tweaked to make it function as one would expect in a real world situation. The graphics were done in-house and adhered to the iOS Human Interface Guidelines. Making the game intuitive for children was paramount and the high number of downloads of the game are a testament to the success in achieving this objective. The game has been downloaded by many Education Institutes who have found it a useful tool to teach basic arithmetic to children in a real world setting without having to leave the classroom.